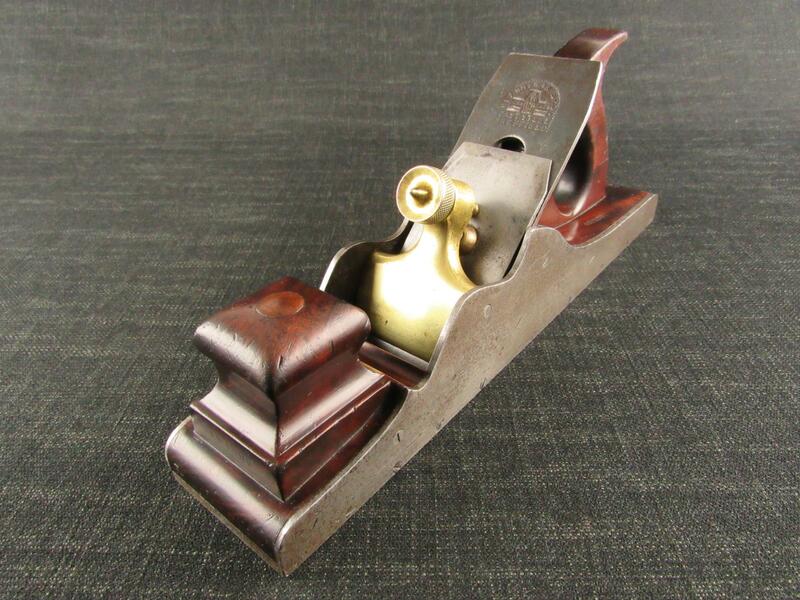 A STANLEY No.4 1/2 smoothing plane. Heavier and wider than the No.4. Fitted with a near full length 23/8 inch English STANLEY blade iron. Dismantled, cleaned, checked, oiled and reassembled. A few plating loss patches on the lever cap. Some minor surface scratching and staining.